Buy online our clothing and fashion fabric Pannello Scozzese Lana Visco P02-01. 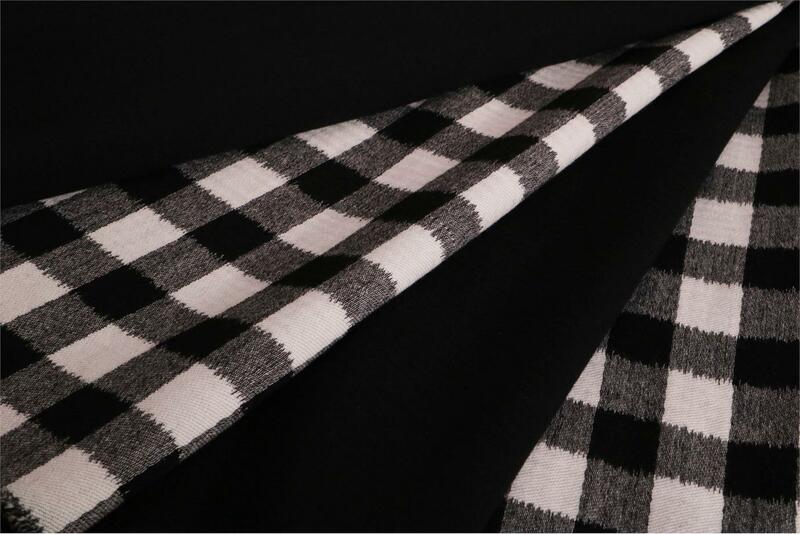 Wool blend fabric with a panel design: the intense black of the solid colour gives way to the classic black and white Scottish design. Suitable for jackets and coats. Black, White Mixed Geometric Coat fabric for Coat.